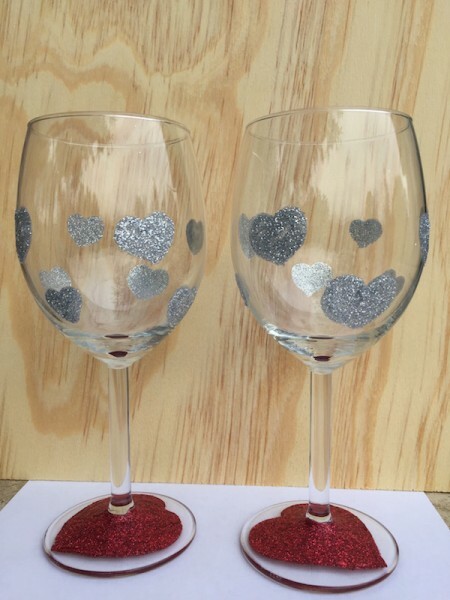 Silver Glitter Hearts wine glass. 10 oz. glass sold as set of two. Hand wash only.